Showings are an important part of selling Highlands real estate. It goes without saying that your home needs to be ready for showings at all times once you have officially listed your home for sale. Your home should be neat, tidy and organized so that it gives a great first impression to any would-be buyers that enter your front door. But you should also be aware that one thing that should be absent during a showing of your Highlands home is you. While you may think it would be helpful to be home during showings it can actually have the opposite effect. Potential buyers want to envision themselves in your home, they may want to sit on the sofa, lounge on your deck, or open your closet doors. All of this can be uncomfortable n your presence. If you feel more comfortable with someone home during showings then speak with your Highlands REALTOR®. You can make it part of your selling process to have her available to show people around and answer any and all questions that a potential buyer may have. It is understandable that you could feel uncomfortable with strangers walking through your home, but remember buyers are accompanies by their REALTOR® and this is all part of the process. Contact me, Lynn Kimball, today for more information on selling Highlands real estate. Let my experience and knowledge work for you and give you peace of mind throughout the selling process. 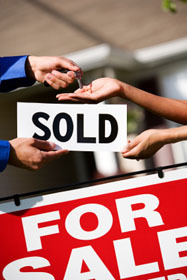 Click here to read “Top 10 Worst Home-Showing Offenses” from Realtor Magazine.